A brand-new young chapter book series from Edgar Award winner Dori Hillestad Butler! After successfully solving the mystery of the ghost in the library, Kaz and Claire land the first case for their detective agency - a haunted attic in a neighbor's home! With a little help from Grannie, Kaz and Claire discover that what appeared to be something spooky has a much simpler explanation. Dori Hillestad Butler has always wanted to be an author. She wrote her first novel when she was in sixth grade. She wrote it to find out if she could write a novel, and because she needed extra credit in her English class. Her dream of becoming a published author came true in 1997, with the publication of The Great Tooth Fairy Rip-Off. She's gone on to publish more than 35 additional books for children. Her books have been appeared on children's choice award lists in 18 different states. Trading Places with Tank Talbott won the Maryland Children's Choice Award in 2007. And The Buddy Files: Case of the Lost Boy won the 2011 Edgar Award for best Juvenile Mystery. 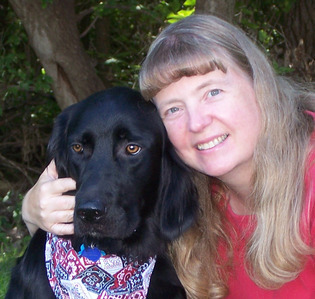 Dori has also been a ghostwriter for the Sweet Valley Twins, Unicorn Club and Boxcar Children series, and a children's book reviewer for several publications. She's published numerous short stories, plays and educational materials, and has served as the Iowa Society of Children's Book Writers & Illustrators' Regional Advisor. She grew up in southern Minnesota and now lives in Coralville, Iowa with her husband, son, dog and cat. She visits schools and leads writing workshops all over the country. For more information, visit her website at www.kidswriter.com.